Description:It has the function of on-site termination in FTTH network, communication network termination and network cabling in FTTH network, making it the best product for "tri-networks integration" (the integration of telecommunications networks, cable TV networks and the Internet). Product detail: 1. The small bending radius optical fiber (G657A) enjoys excellent anti-bending performance. 2. Optical cable is easy to be stripped, fixed, connected and allows installation and maintenance. 3. Halogen-free flame-retardant material meets the required flame retardant property. 4. 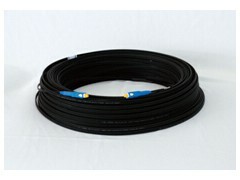 The optical cable is suit for on-site termination.